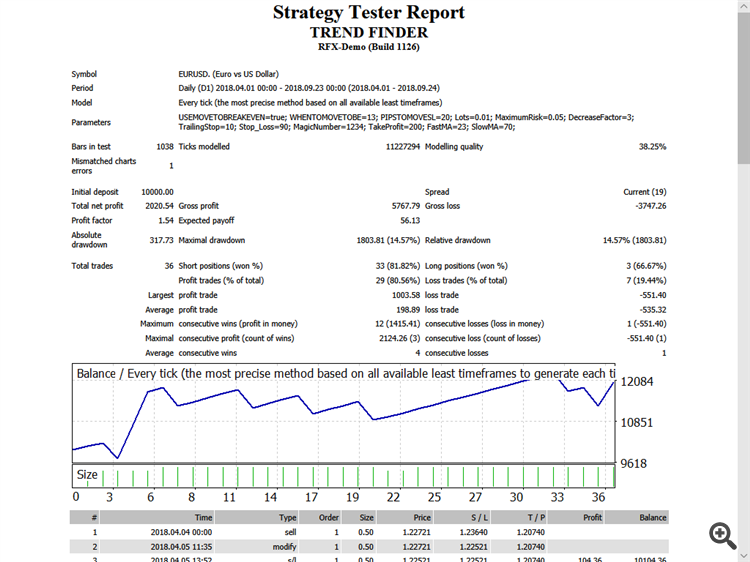 " TREND FINDER" EA Trades when there is a breakout from historical minimum/maximum. Thank you for your generosity. Why do you keep submitting tests in checkpoint mode? With TF greater than M1, it makes no sense. Please publish a valid set also in tick by tick. Thank you! 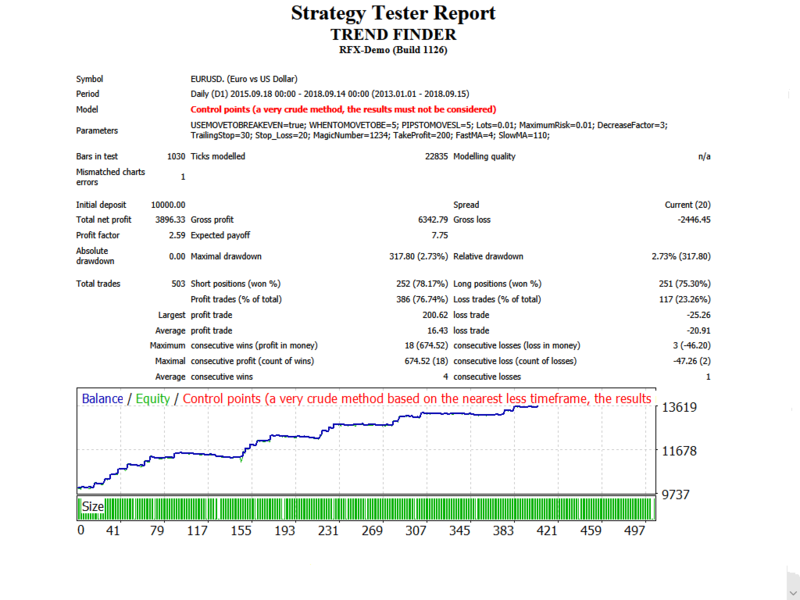 The worst thing you can do is to work with the EA( robot) in live trading account without checking it for several months on a demo account, and perform a back test every few days for "each tick" data, if you do not do this job by yourself do not work with EAs (robots) because you will make huge losses ,the screenshot here is meant to explain you the general idea of this strategy. it is against forum rules to advertise/promote any commercial product. Unless I missed something else, it is allowed to link to codebase EAs etc as these are free and source code provided. What are you talking about? This is discussion about free code! Nobody advertised a product. I know that all your EA-s must be tested on Open prices only. 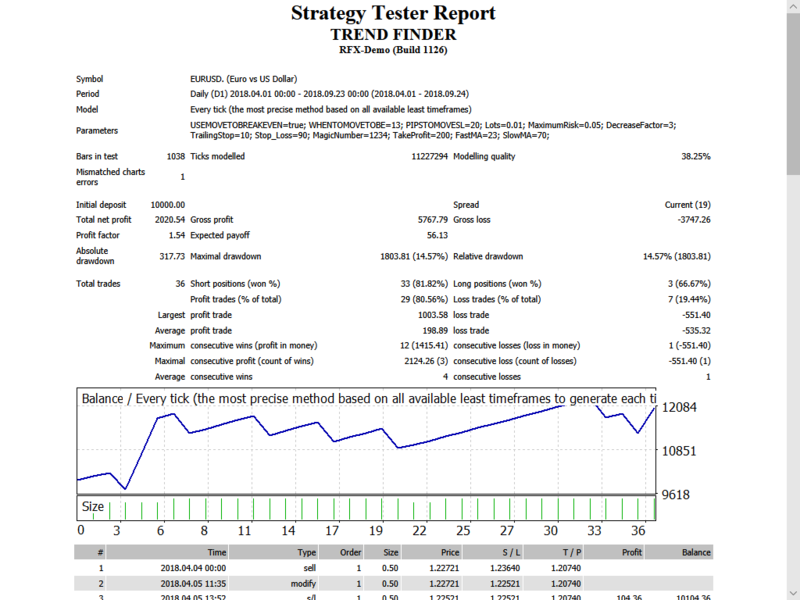 What if your EA shows just great result on Every tick backtesting? Doesn't it correspond to reality at all?